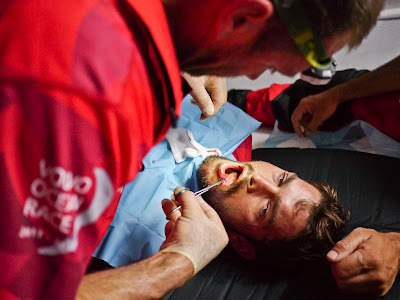 CAMPER bowman Mike Pammenter (RSA) was injured yesterday during a sail change when he was swept off his feet by a wall of water and smashed into the shrouds. His front tooth was completely smashed out and his lip cut. His helmet saved him from worse injury. Dripping blood, Pammenter staggered below where he was looked after by race veterans and medics Tony Rae and Stu Bannatyne. Despite this drama, CAMPER only lost two miles to race leader Telefónica (Iker Martínez/ESP) who are 94 nautical miles ahead of CAMPER. Telefónica is still heading south in order to skirt the Saint Helena High, which due to its position being further south this year than ever before, means sailing further than expected in order to reach the westerly breeze on the southern side. 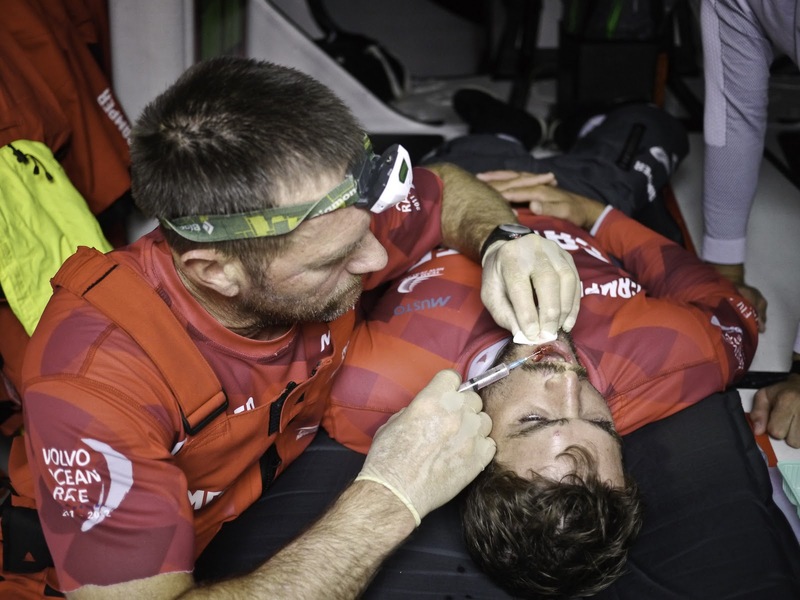 Now in third position, 274 nautical miles behind the leaders, Groupama 4 (Franck Cammas/FRA) has spent the last two days on a fast port tack reach. Australian trimmer/helmsman Phil Harmer reported good reaching conditions, with boat speed varying between 17 and 24 knots.